I don’t think I’ve ever met a kid who doesn’t like pasta! 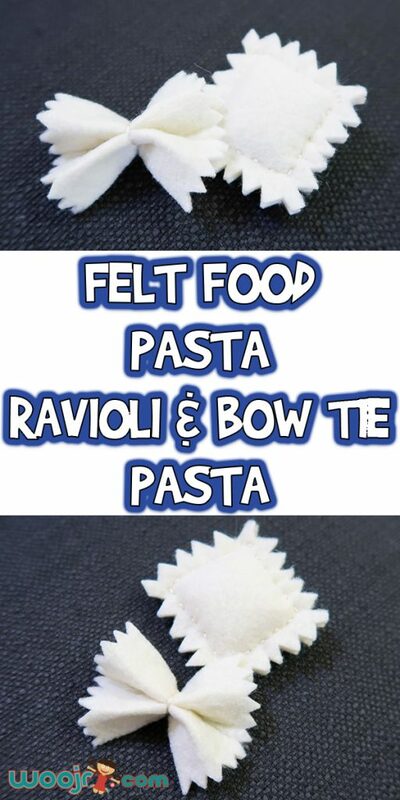 So today we’re learning how to make this Felt Food Ravioli and Bow Tie Pasta. You can make just one of each, or you can make enough for a whole bowl. Let’s get started! 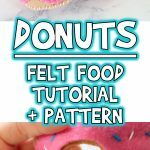 Check out all of our felt food patterns, you’ll love them! Also helpful – pinking shears! 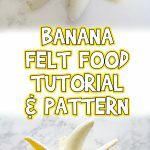 You can use these to create the zigzag edges on the pasta if you have a pair already. 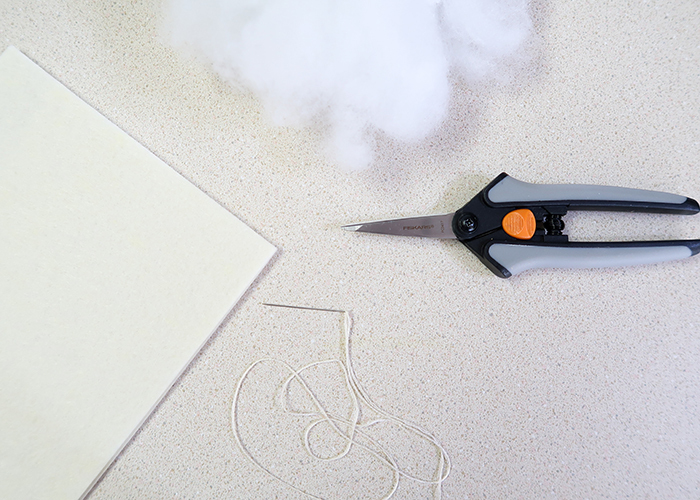 If not, I show you how to do it with regular scissors too. 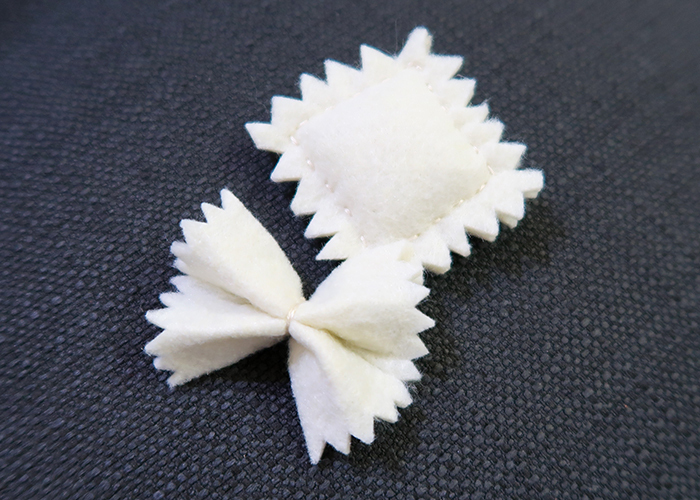 For the bow tie pasta, cut a square of cream felt. 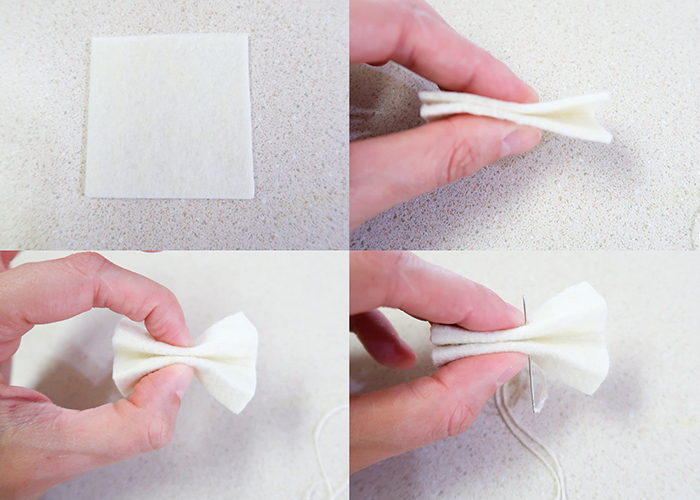 Fold it in half, and then fold the two ends you folded up back down halfway like shown. You’re doing a basic accordion style bow fold. 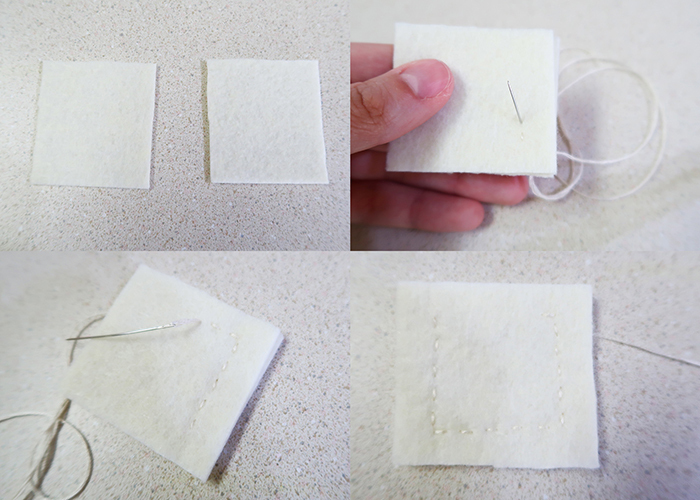 Take your threaded needle and push it through the center of your fold. 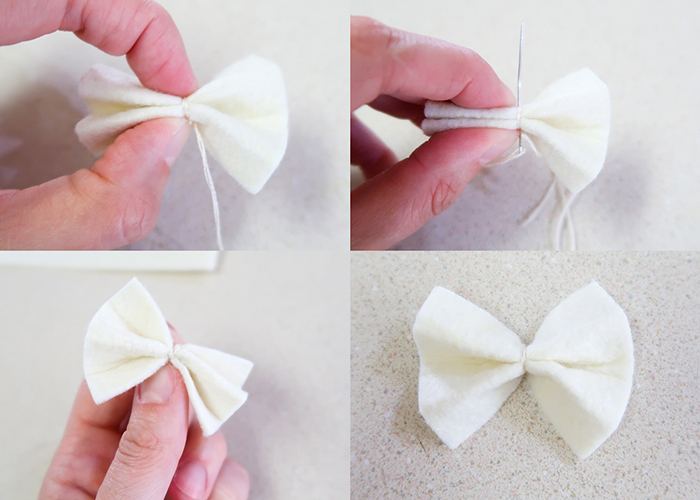 Pulling the thread tight, wrap it around the center of your bow several times, then push the needle through the center again and knot off the thread on the back. Spread out the ends, and it should look like this. 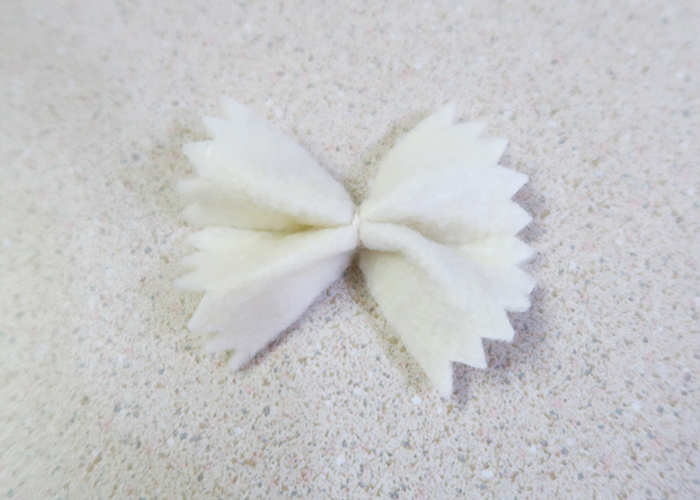 If you have pinking shears, use them to trim the ends of the bow tie pasta into a zig zag. If you don’t use the tip of your scissors to cut small triangles right next to each other. This will also zig zag the ends and create the same look! It’s so cute! Your first bow tie pasta is done. Now let’s make the ravioli. 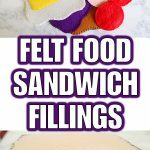 Take two squares of cream felt, lay them on top of each other, and make sure they’re the same size. If not, trim them to match. Now insert your threaded needle about 1/4 of the way into the felt, and start stitching a bow shape, trying to keep the edges even all the way around. When you have three sides of the box done, keep the thread attached but stop for just a minute. 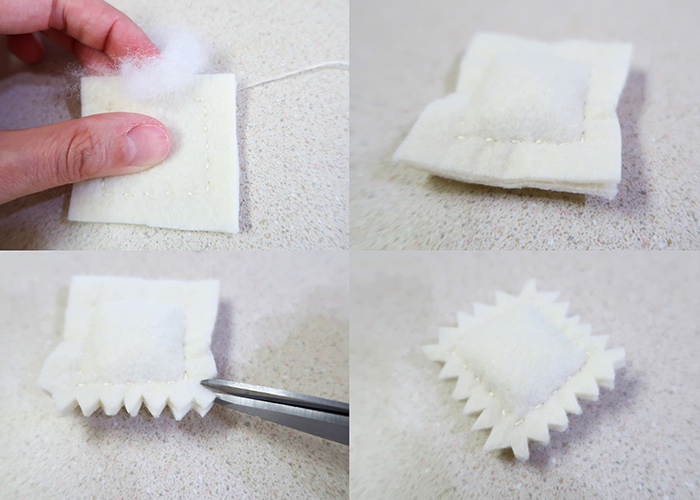 Take a small amount of fiber fill and stiff your ravioli, and then finish stitching up the box shape and knot off the thread. 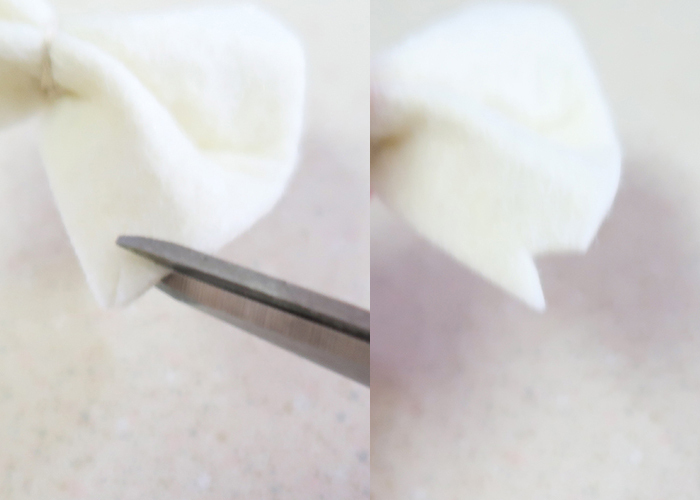 Use your pinking shears or scissors again to zig zig all the edges of your ravioli. And you’re all done! 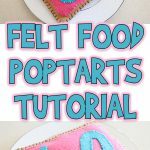 See how easy it is to make Felt Food Ravioli and Bow Tie Pasta? 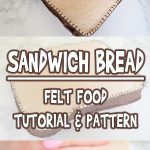 I love easy projects like this that look so cute. 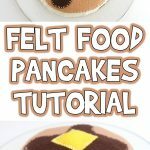 I hope you enjoy making these!